Hydroxyapophyllite is also relatively common, but specimens typically lack any colour. Natroapophyllite which is quite rare and usually brown it is found at only a few localities. ​These crystals can be found in India, USA, Brazil, Scotland, Northern Ireland, Mexico, Canada, Iceland, Norway, Germany and Japan. Apophyllite"s structure is layered with alternating silicate sheets with the potassium, sodium, calcium, fluorine and water layers. 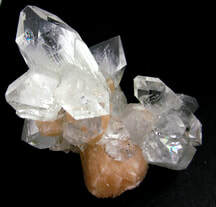 Apophyllite occurs as white, clear, green, yellow, pink to red, violet and the rare brown of Natroapophyllite. ​Apophyllite appears as cubic or pyramidal crystals that vary from translucent to opaque in single crystals or clusters. Apophyllite specimens are found in ancient lava and basalt flows. The crystals grow in the solid cavities, called amygdules, vesicles, or geodes, formed by air bubbles when the rock was molten. Apophyllite is also found in the voids in limestones that surround intrusive rocks. Green apophyllite activates the heart chakra and promotes a forthright heart, especially regarding decisions in matters of the heart. It absorbs and then transmits universal energy. This stone facilitates a meditative state. 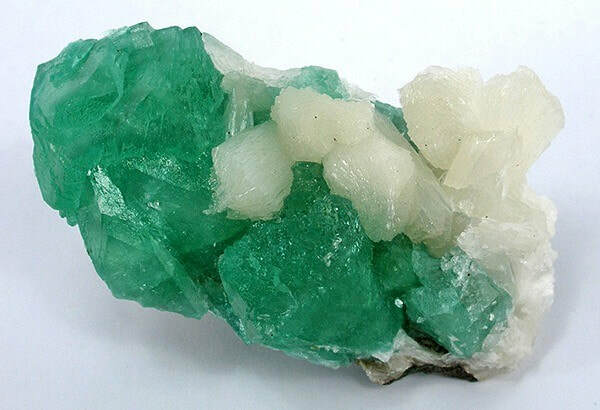 Green Apophyllite opens the heart to joy and love; heals heartbreak and heartache. It will heal a jaded heart and renew your joy in life. Green Apophyllite enhances your ability to receive all the good things in life, such as prosperity, friendship, love, relationships, abundance, marriage and children. Apophyllite is regarded as one of the best stones for Reiki healing. It facilitates taking the client into a deeper state of relaxation and receptiveness and at the same time removes the healer from the situation so that the movement of healing energy is more pure. 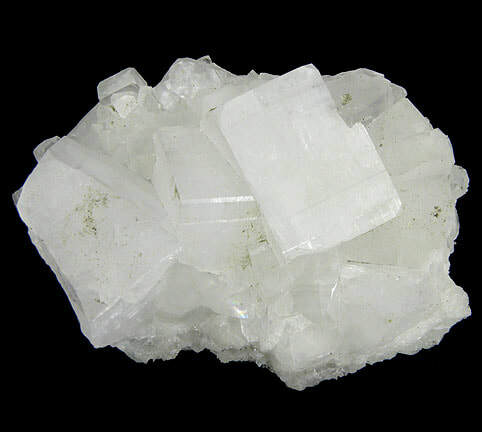 Apophyllite works on the respiratory system and when held to the chest can stop asthma attacks. It neutralises allergies and promotes regeneration of the mucus membranes and the skin. Apophyllite is useful in healing matters of the spirit and in helping the spirit come to terms with being in a physical body. Red apophyllite heals emotional and physical burnout and disappointment.​ ​Red apophyllite supports those with low vita energy such as chronic fatigue syndrome and leukaemia. Apophyllite releases suppressed emotions. It overcomes anxiety, worries and fears. It calms apprehension and allows uncertainty to be tolerated. ​Aqua apophyllite heals grief and clears it from the body. It promotes inner peace and enhances the ability to accept and release loss and emotional pain. 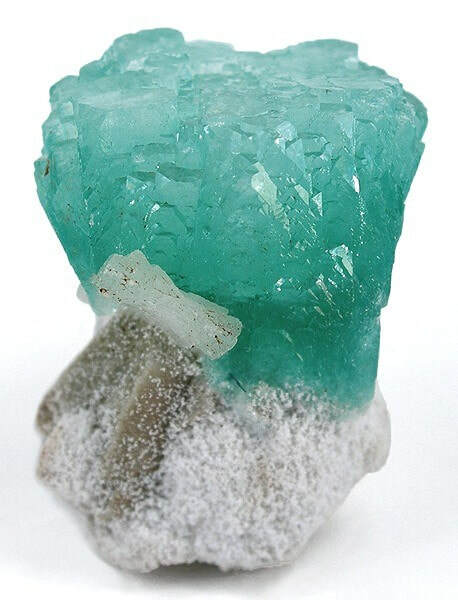 Aqua apophyllite helps you forgive yourself and be able to forgive others. Brown Apophyllite brings you joy in every aspect of living. This is a calming stone that promotes confidence and trust in life and living. Apophyllite creates a conscious connection between the physical an the spiritual. During astral travel it keeps a strong connection with the physical body, allowing information to be transmitted from the spiritual plane to the physical. This spiritual stone enhances clear sight, stimulating intuition and enabling the future to be accessed. It is an excellent stone for scrying. Spiritually this stone calms and grounds the spirit. It has strong links with the spiritual realm, while at the same time allowing you to feel comfortable in your own body. It facilitates journeys out of the body and spiritual vision. ​Aqua apophyllite develops awareness that you are a spiritual person. It has been known to awaken you to the knowledge that the physical body is only temporary but the soul and spirit remains. Brown apophyllite grounds, stabilises and aids a proper connection to the well of life and the Earth's core. It helps you ground to prepare for healing. Clear apophyllite brings spiritual consciousness to your physical level of awareness and unifies and aligns the aura bodies. Clear apophyllite creates awareness of yourself as a spiritual being of far greater magnitude than the Earth plane only. This stone will bring your astral twin into the etheric level. It opens connections to your light body and over soul. 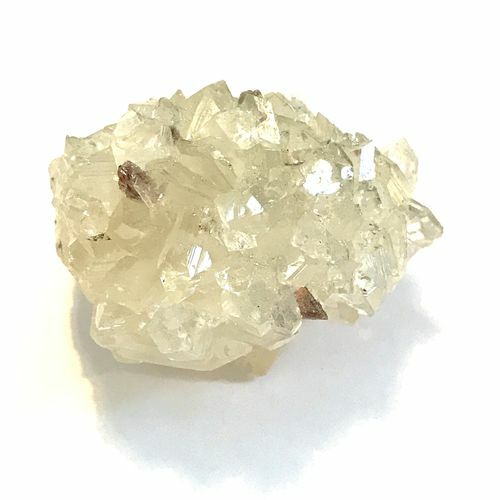 Clear apophyllite heals soul fragmentation, helps in soul retrieval, promotes development and connection of full complement DNA. It fills your aura and aura bodies with light and joy. 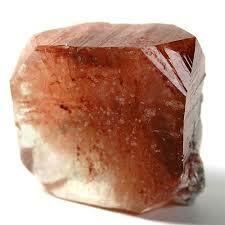 Red apophyllite activates the life force with great joy and excitement. It will bring you joy, eagerness and a zest for living your life to the fullest. This stone will help people who are not sure if they wish to remain on the physical plane. 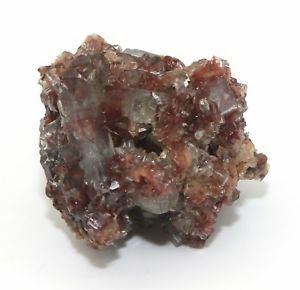 Red apophyllite promotes a connection to the Well of Life and the Fire of Life at the Earth's core. It will stabilise this incarnation and increase your will to live.